Six months after appointing media agency veteran Alice Manners as CEO, the Interactive Advertising Bureau (IAB) Australia has announced plans to broaden its remit to support the entire digital advertising industry. The new remit was outlined in a press briefing this morning by Manners and IAB chairman Mark Britt. Since incorporating four years ago, the Australian chapter of the IAB has seen the digital advertising industry grow into maturity, from being one of a number of marketing channels to playing a central role. the introduction of a new industry certification program. Manners and Britt spoke of the need for the industry body to break a perception that it represents the country’s largest few publishers only, broadening its stakeholder base to include inout from publishers of all sizes, agencies, established and emerging ad technology companies and clients. In this regard, the Bureau wants to be the ‘big tent’ for the entire digital advertising industry and define the future of digital advertising, as well as its role in developing, coordinating and promoting industry standards and guidelines that make interactive advertising a simpler and more attractive medium for agencies, advertisers and marketers, as well as proving and promoting the effectiveness of interactive advertising to advertisers, agencies, marketers and the press. Britt, who chairs the IAB Australia board and is group CEO of Mi9, says, “One of the key areas for IAB Australia will be to continue to define the future of digital advertising. 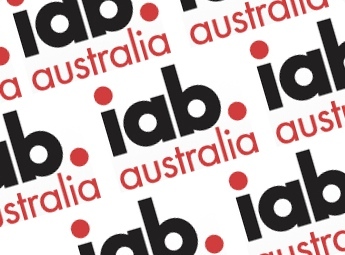 One of the first initiatives will be the launch of IAB Australia’s Agency Advisory Board in March. The Board will be comprised of senior executives from the nation’s leading creative, digital and media agencies and will be chaired by Danny Bass, ‎chief investment and intelligence officer at GroupM Australia. The Board’s objective will be to spark dialogue among agencies, publishers and marketers which will in turn inform IAB Australia’s Guideline work. “In recent years the Australian advertising industry and our agencies have been recognised on the global stage for their work in digital advertising, so I’m delighted that IAB Australia has convened this Board to allow us to share our knowledge and experience,” said Danny Bass. Also in the works are accreditation programs, such as accreditation for digital sales. These will be recognised globally thanks to IAB Australia’s place in the global network of IABs.